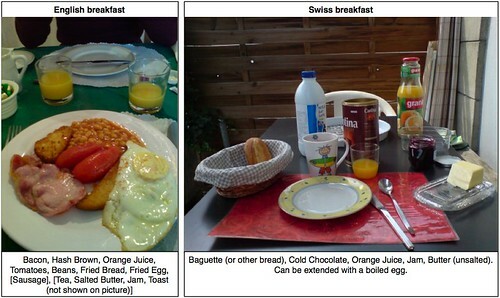 Some interesting differences between English and Swiss culture. Maybe other terminals of Heathrow look different, but for the average traveller a sign that shows the direction to the nearest tube station would be helpful. On the other hand, the Swiss Airport has almost too many signs. Why do English Coca Cola bottles have an indication how to open the bottle? Is this not obvious enough? 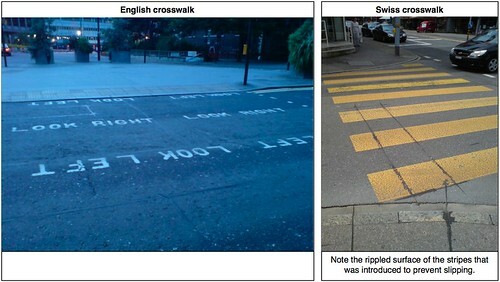 The pictures of the Coca Cola bottle and the crosswalk could give the impression that English people like instructions. Or did they think of the tourists, when they introduced such detailed instructions?